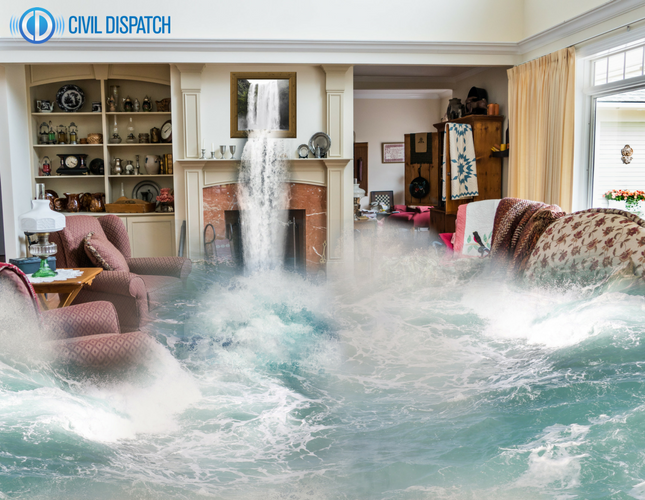 As we are in the midst of spring and summer and for some of us we are about to enter hurricane season, flooding is a common occurrence and can in fact happen without warning. Flooding can occur in many places, so everyone should be prepared and have a plan. Turn around! Don’t attempt to make your way through a flood area. Just 6 inches of moving water can inhibit your ability to make your way through water and just 1 foot of water can sweep your vehicle away. If there is any chance of flash flooding, you should move to higher ground immediately. Floods are actually the #1 cause of weather-related deaths. If the water that has already surrounded your car is not moving, you should abandon your car and move to higher ground. Do not move towards moving water. If there is heavy rainfall or the potential of heavy rainfall, avoid camping or parking near streams or rivers. Flood Watch = “Be Aware.” The conditions in your area are right for flooding to occur. Turn on your TV/radio to get frequent weather updates. Have a plan to reach higher ground if you need to. Make sure you have an emergency kit including flashlights, batteries, cash, and first aid supplies. Bring in any outdoor furniture and move any important items in your house up to a higher floor. Disconnect any electrical appliances and don’t touch it if it might be wet. Flood Warning = “Take Action!” Flooding is already happening or will happen soon. Evacuate if you are directed. Don’t return to your home until authorities say it’s safe. Beware of roads and walkways after water has receded. Flood waters can erode roads. Photograph damage of your property for insurance purposes.